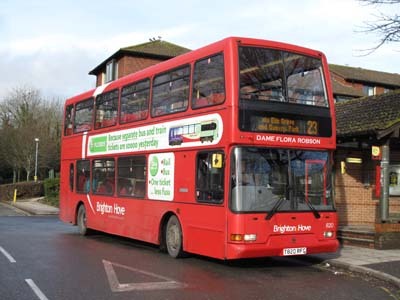 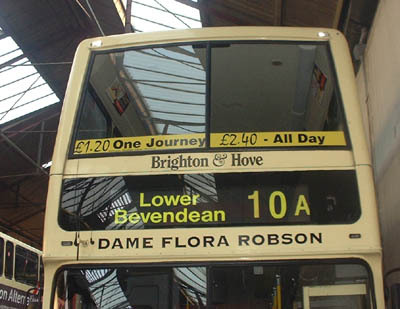 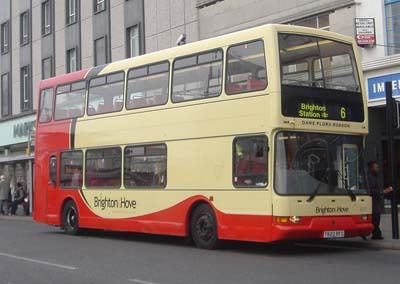 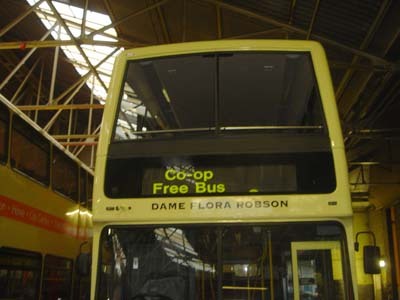 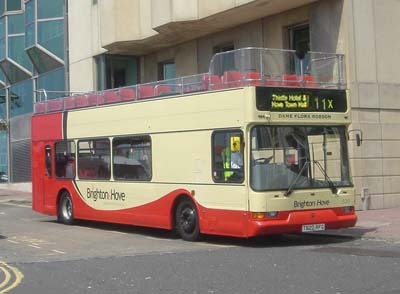 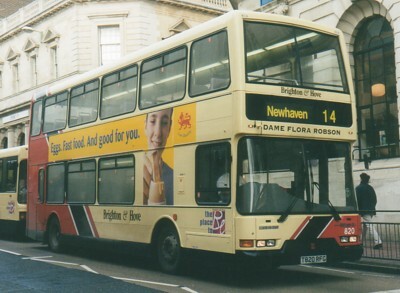 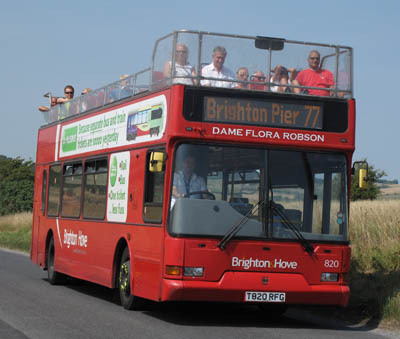 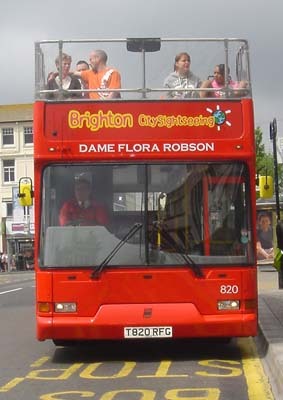 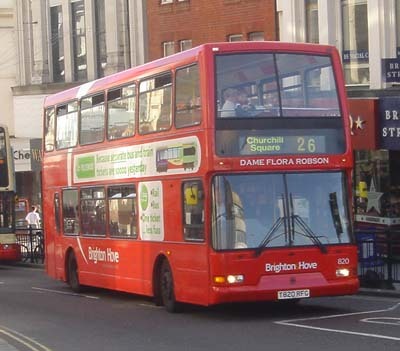 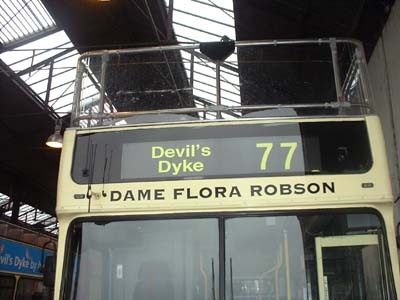 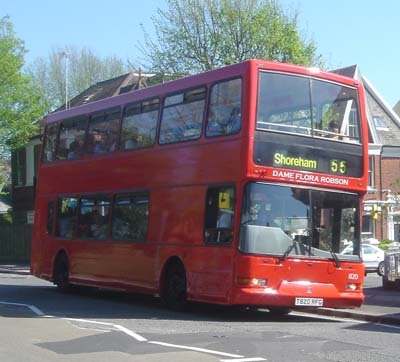 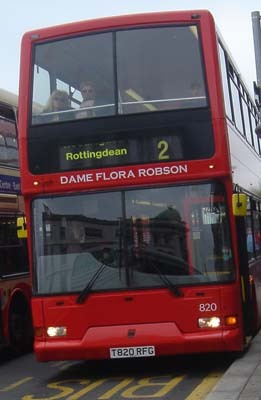 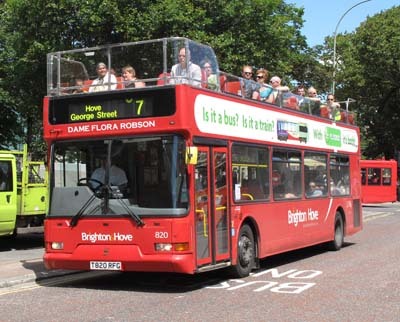 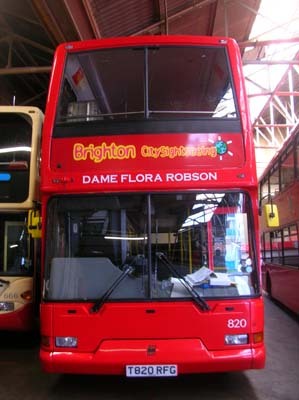 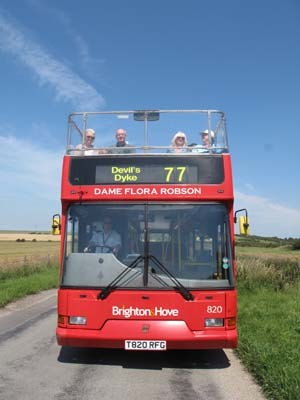 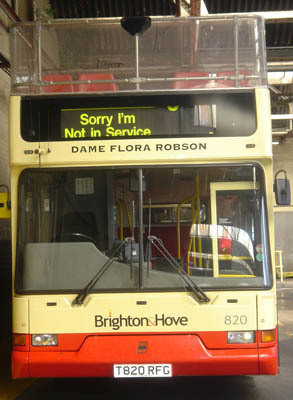 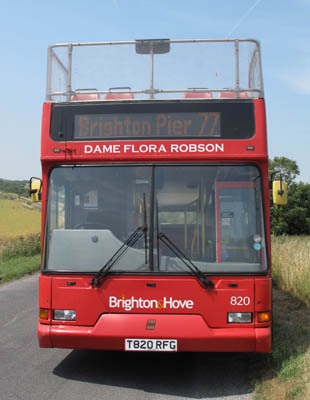 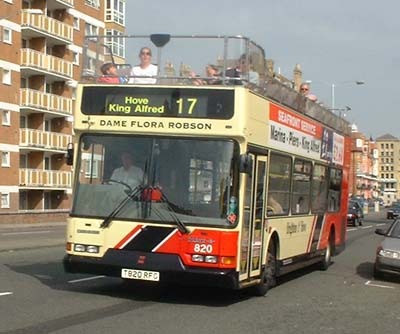 820 Dennis Trident convertible open topper - carried name since delivery in May 1999, changed to The Albion Team 2001/02 during May 2002 then back to Dame Flora Robson, also changed to Santa Claus in November 2005 and back to Dame Flora Robson in January after repaint into new livery. 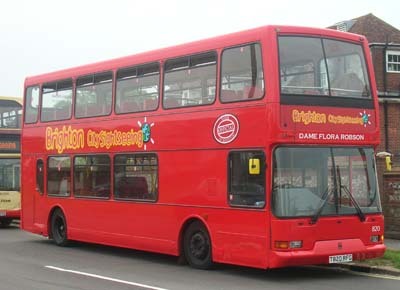 Repainted to all over red in May 2008 for City Sightseeing. 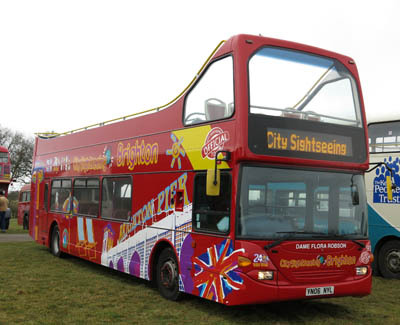 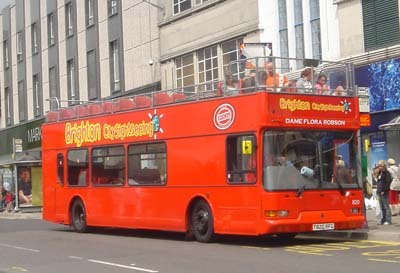 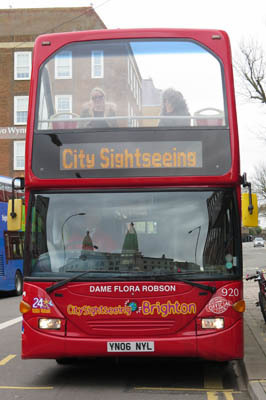 City Sightseeing branding changed to Plusbus in October 2008. 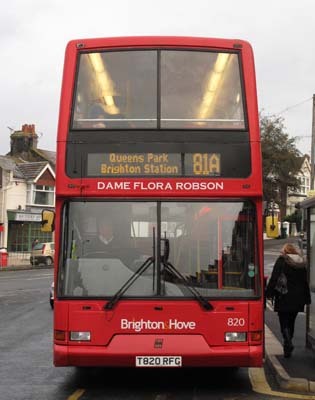 Name moved to 920 Scania Omnidekka open topper March 2015. 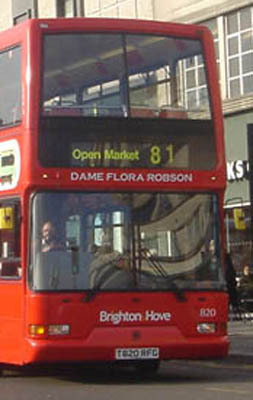 Bus 820 sold in April 2015.